Taio Cruz may have only released his latest album ‘T.Yo’ in December last year, but it seems there’s no concentrating on the rear vision mirror, with a brand new single ready to tear up the airplay highway. ‘Fast Car’ was serviced to Australian media by Universal Music earlier this afternoon. Co-produced by Max Martin and Klas Ahlund, the track is the follow-up to the single ‘There She Goes’, the platinum smash ‘Troublemaker’ and the four times platinum hit ‘Hangover’. 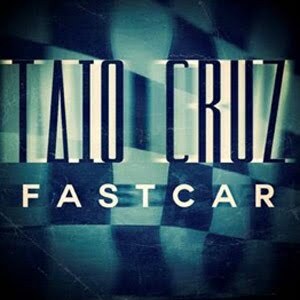 With plenty of support for his previous singles, there’s every chance that Taio’s ‘Fast Car’ could overtake his previous singles in terms of success. No word thus far on a new album, but the single is due to hit digital retail tomorrow.